The module to verify signatures. The next module in the chain is usually BoolSink. This module cannot be used to verify HMACs. Definition at line 41 of file verifier-filter.hpp. Create a verifier module to verify signature sig using algorithm algo and key key. 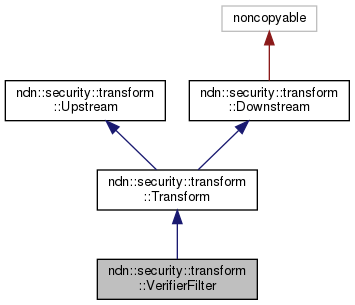 Definition at line 48 of file verifier-filter.cpp. 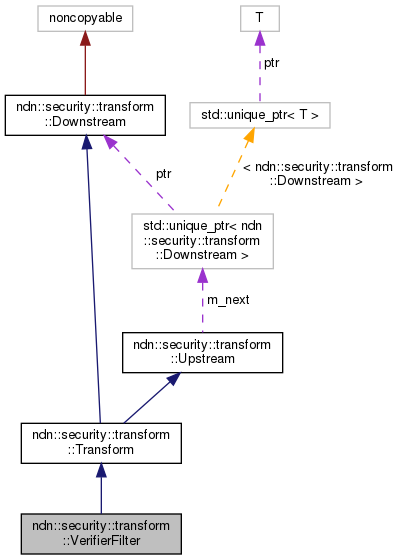 References ndn::security::detail::digestAlgorithmToEvpMd(), ndn::security::transform::Downstream::getIndex(), and ndn::security::transform::PublicKey::getKeyType().